1000 Bulbs Review by Jamie Tomkins | Light Up Your Space with 1000 Bulbs! Thank you #USFG for partnering with me on this blog post! I've seen ads for 1000 Bulbs online, but have never shopped with them before. When I saw the info about them on US Family Guide, I figured it was a great time to try them out. I trust US Family Guide's opinions of certain companies, and products that they offer. I headed over to the site and felt like a kid in a toy shop. There were so many options. 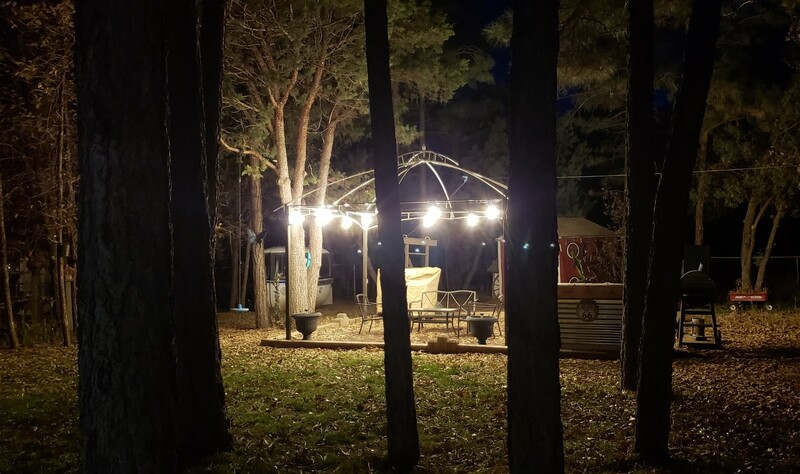 Holiday lights, LED panels, and the antique/vintage style (that I love!). I found some patio string lights that I figured would be perfect for our outdoor gazebo. I placed my order online, which was super simple and my package was there in just a few days. That was quick!! When I opened my box, I couldn't believe the quality of the patio string lights. I figured that they would be the cord thickness of Christmas lights, but these were heavy duty and super sturdy. Perfect for our cool times of the year and outdoor use. I was super impressed with how they felt and were made. Heading to the garage, I got out the ladder and started attaching the string to the frame of the gazebo. 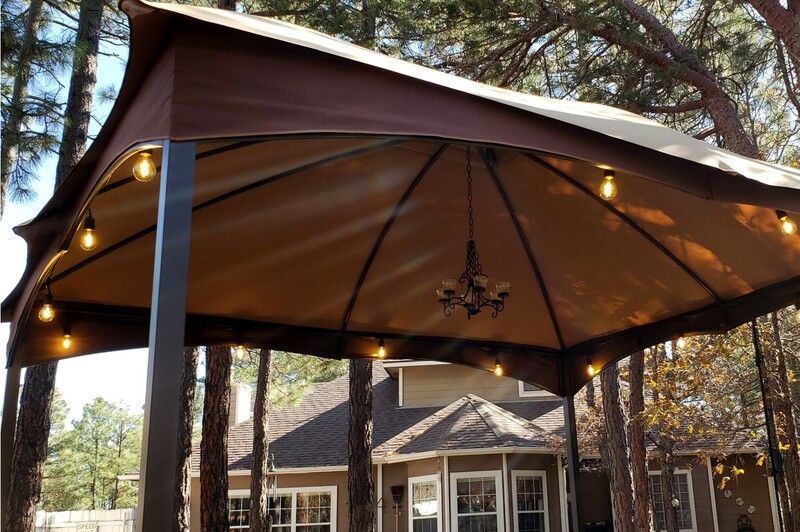 Figuring that they would just be long enough for about three (3) of the sides, I was super excited to see that they wrapped all the way around our 10' x 15" gazebo perfectly. Plenty of leftover cord to go down the back pole just perfectly. Now I only had to run an extension cord to the power source, and I was set!! 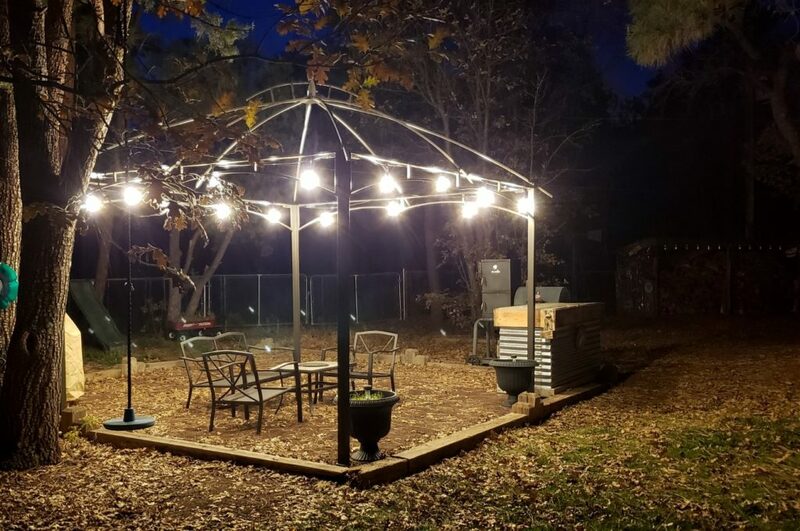 I cannot wait to have some outdoor parties with these great lights up around us. Before, when the sun went down, it just got too dark to continue to entertain. Now with the 1000 Bulbs set, I can stay out even later. I love them!! 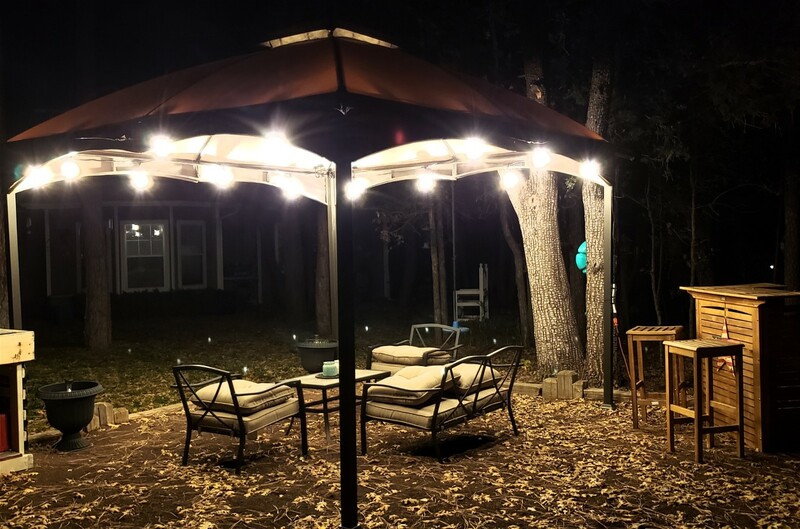 Light up your patio, gazebo, or covered porch with this PLT commercial light stringer with a black 14 gauge wire. Measuring 48 feet in length, this stringer has 15 medium (E26) base sockets spaced 36-inches apart and fatures both male and female plugs that allow you to connect up to four sets together.